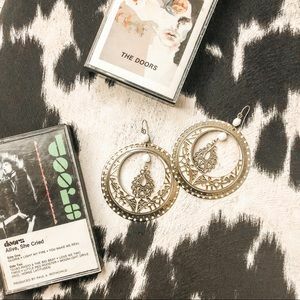 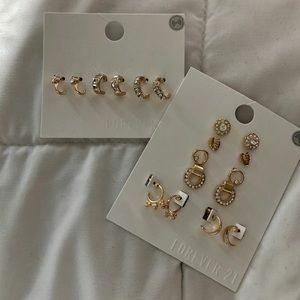 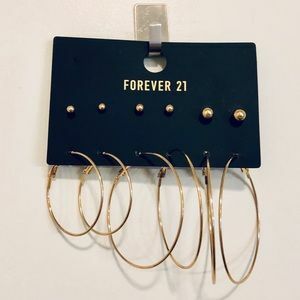 Black and gold earrings from forever 21 !! 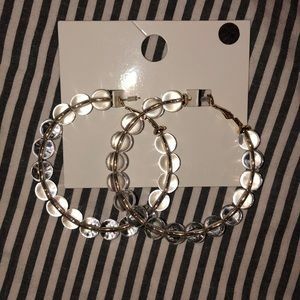 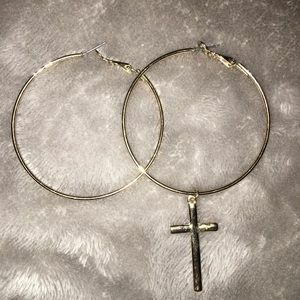 Four bracelets and two hoops! 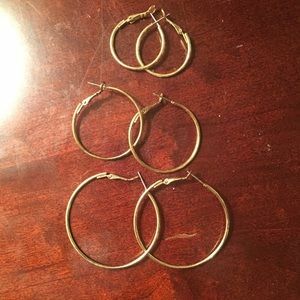 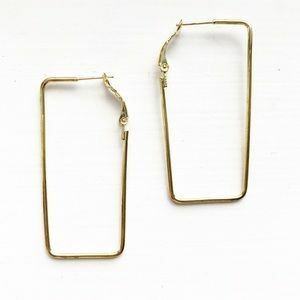 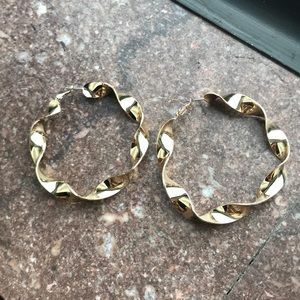 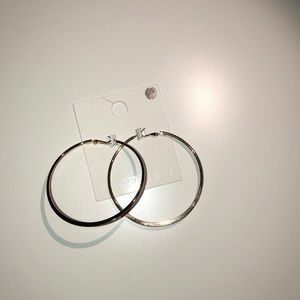 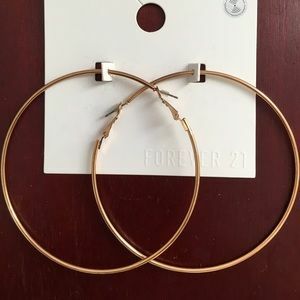 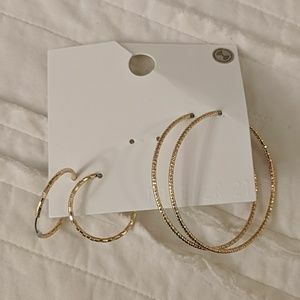 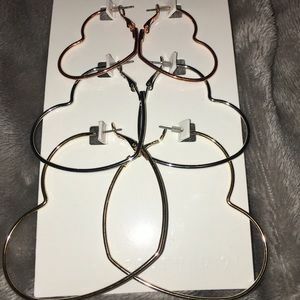 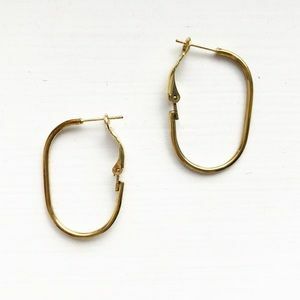 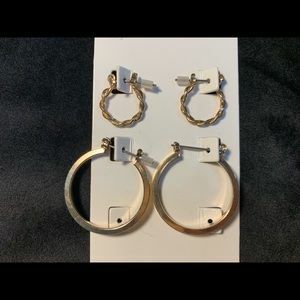 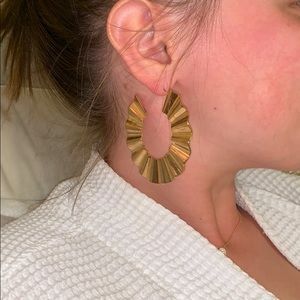 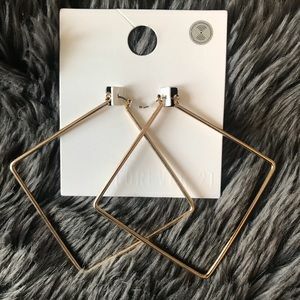 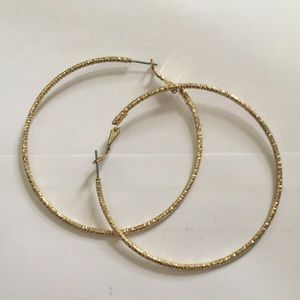 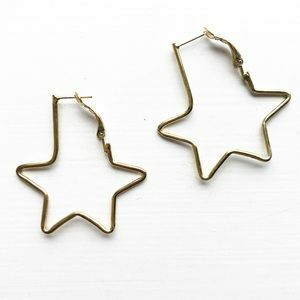 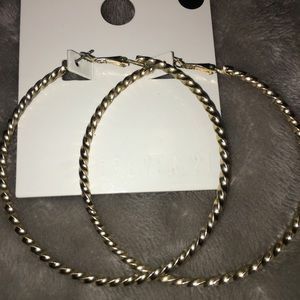 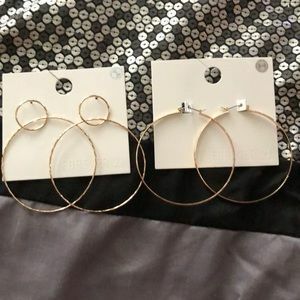 Big gold square hoop earrings.